SPOILER WARNING: The following contains EXTREMELY MINOR spoilers about X-Men: Apocalypse. If you wish to see the film knowing as little as possible about it, we recommend you think about clicking away to another one of our wonderful articles. At the end of X-Men: Days of Future Past, Hugh Jackman’s Wolverine once again finds himself going back into captivity – albeit with a new captor. While it looked like the person leading Logan’s extraction from the Potomac River was Josh Helman’s Major William Stryker, a flash of yellow in his eyes revealed that it was actually Jennifer Lawrence’s Mystique in disguise. 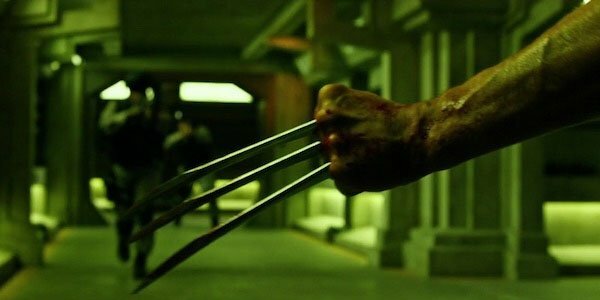 Given that the events of the film take place before Wolverine got his adamantium skeleton and metal claws, many fans watched this sequence and wondered how exactly the character would still wind up going through the Weapon X experiments. It turns out that the answer to that question, to use a less-than-scientific word, is destiny. One of the things we talk about in Days of Future Past - there’s a scene where Hank/Beast talks about the immutability of time. Basically, you can change the way the future goes, but it finds its way back. So while we don’t show how, it found its way back to Wolverine being part of Weapon X and under the thumb of Stryker, that’s the idea. This answer certainly functions as an answer for how Wolverine still winds up in Major Stryker’s Weapon X experiments, but it does kind of come across more as an excuse than an explanation. After all, if time works to repair itself after changes are made, then why did the time travel plan of X-Men: Days of Future Past actually work? On a long enough timeline, wouldn’t enough events occur to once again to lead to the rise of the Sentinels and the destruction of the world? It’s true that the X-Men franchise has never really been about hard science, but it would have been nice to have a better story come out of things than "it happens because it’s supposed to happen." Fans will witness the continuation of the new X-Men timeline later this month, as 20th Century Fox will have X-Men: Apocalypse in theaters on May 27th. Surely it will start a whole bunch of new discussions about the continuity of the franchise and how it all works as a whole.